Filed with the patent holder friendly U.S. District Court for the Eastern District of Texas, FISI's complaint leverages five patents against a host of Apple hardware including iPhone, iPad, Apple Watch, iPod, Mac, charging adapters and more. Originating from Research in Motion, the patents-in-suit -- Nos. 6,936,936, 7,239,111, 7,834,586, 8,232,766 and 8,624,550 -- deal mainly with USB charging technologies that "represented a fundamental break" from traditional mobile device charging systems, according to the suit. The new technology, developed over the past two decades, is claimed to have laid the groundwork for increased performance and abundance of popular features seen in today's portable devices. Apple was informed of potential infringement in a letter sent to VP and chief IP counsel B.J. Watrous in December 2015. Subsequent letters detailing alleged infringement were sent to Apple's head of patent acquisitions Denise Kerstein and legal counsel of IP transactions Jeff Lasker in 2017. Apple responded to FISI's pleas to license the RIM IP in a letter dated April 5, 2018, saying it believed the patents were invalid in light of multiple requests to the U.S. Patent Trial and Appeal Board for inter partes review of the current patents-in-suit. The PTAB later denied all IPRs save one related to a claim in the '550 patent. A preemptive strike, the California suit seeks a declaration that Apple does not infringe on FISI's patents. As Apple points out in its defense, the devices and adapters at issue in the FISI case do not rely solely on USB standards, but also incorporate proprietary Lightning connector technology that apply modified communications signals to charging subsystems. Apple should just buy these thirsty companies. Make things less of a headache and charge the knockoffs for using their patents. Patent to use industry standard interface as intended and within the limits set out by the standard controlling the interface. Am I missing where is is at all novel? Even Apple would go broke doing that. There's always one more leech. True but picking the best would be nice. But then again another troll would claim it's their patent. I am not knowledgeable in IP laws etc but to me the sensible approach would be that if a company or someone buys patents then they can only be used as a basis for litigation if these patents are actually being used by the owner or the owner has clear plans on how they will be used within a reasonable period of time. This topic on patent trolls keeps arising and it is absurd that this has not been resolved yet. Of course, in the absence of laws as I indicated, perhaps another approach is to keep these trolls in court until they have no further resources left to fight the case. This course of action should only be available when the entity is non practicing in relation to the patents. Whenever a lawsuit like this is reported we usually see comments about reforming the patent system. Well, that’s NEVER going to happen and I’ll tell you why. We will never see reform because the lawyers are making craptons of money off the current system. And the lawyers become politicians to make sure things never change. These lawsuits like many others would never be filed, if the the plaintiffs had to pay damages if they lose. It would make these silly patent trolls think twice about how good their case really is, and if they win, the outcome is the same, someone pays them, but if they lose, they lose big time perhaps for all those legal fees.. When RIM sold their patents, Apple should have been involved in the group that bought them. Unfortunally, this lawsuit is the new normal. Patents should be defensively, for cross-licensing agreements, to stop blatant violations, but the patent trolls are getting ridiculously aggressive. The first patent cited in the article is from 2002 and cites how the adapter tells the charging device (phone, etc.) how much current/power it can provide. This appears to be a ttcritical manner of operation related to the complaint. I remember reading about how early 2010/2011 iMacs had “high power” USB ports that could provide more power than the 5W that was part of the standard. 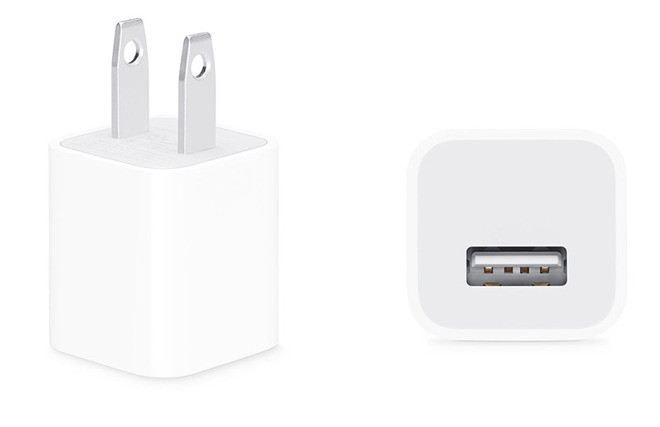 This allowed iPads to charge at 12W, etc. This could also be related. As always, let’s see where this goes. Without reading the complaint and patent in detail, I really can’t comment more. Ah, so what you're saying is it's the voters fault (you and I). Well you would be right. In our system, the people are the ones to blame, as uncomfortable as that may be to admit. You, me, our neighbors, fellow posters here; we are all to blame. Enjoy that truth sandwich. I've said for many years that they should make patents non transferable. If a patent holder dies, or the company collapses, they become public. No Representative or Senator from my District and State have ever agreed to any position or I have ever written to or called them about. No Representative or Senator from my District and State have ever had my vote, expressly because of positions they take that are antithetical to my views. A blanket accusation across all eligible voters is more than a little unfair. In what way is it my fault that a majority of my neighbors are either happy with or oblivious to the status quo? Voting has had a 100% failure rate over the 34 years I have been eligible and registered to vote. Not one candidate I have ever supported, who might actually have addressed any of the issues I have expressed concern about have ever gotten into the office I was voting for them on. Based on my direct experience, voting is utterly useless. Enjoy that truth sandwich.